The DuoSIM-Advanced Functional Tester (FT) delivers a powerful set of tools for testing new eNodeB hardware and software. The test system is optimized for validating development of eNodeB functions that are on the cutting edge of Radio Access Network technology. 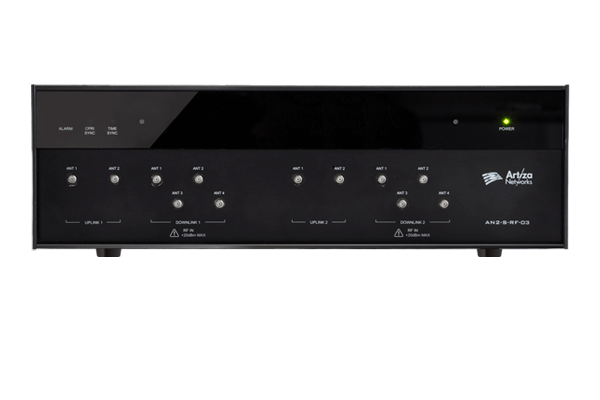 Built on the same ATCA chassis as Artiza’s Load Tester (LT), the FT is perfect for testing during the early stages of development, and converts easily to accommodate load testing scenarios with massive numbers of UEs. Delivering new functions or proof-of-concept demonstrations first demands tools that stay ahead of the most advanced LTE roadmaps. The DuoSIM-A FT supports eNB development for the world’s most advanced LTE networks. Validate advanced eNB functionsahead of competitors with the DuoSIM-A FT’s market-leading road map. Demo new products and features,even before corresponding chipsets are available. Configure the system for your specific needsby working together with our specialists in UE and Core Network simulation. The DuoSIM-A FT uses a modular hardware architecture that scales up easily to increase the system’s capacity without losing any functionality. 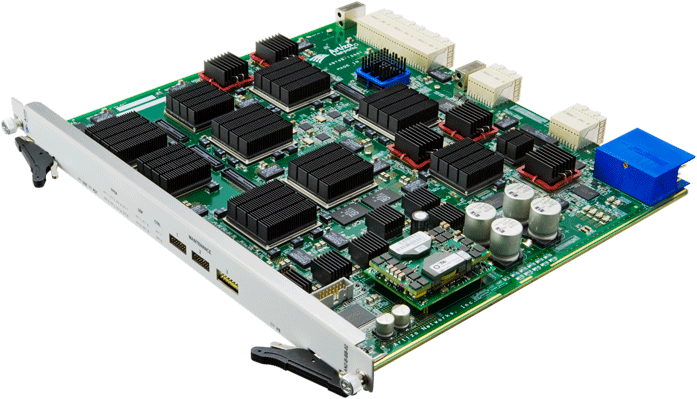 Get extraordinary cost performancewith the DuoSIM-A’s high-density hardware modules and support for both RF and CPRI connections to minimize the hardware investment and footprint in your test lab. Make secure investmentsin reliable, state-of-the-art equipment backed by Artiza’s award-winning support team. Reuse hardware:Blades, chassis, and RF units can all be reused when transitioning to the ultra high-capacity DuoSIM-A Load Tester. Advanced features make functional testing with the DuoSIM-A simpler and save valuable time and space in test labs. Automate testingby writing scripts with a command-line interface. 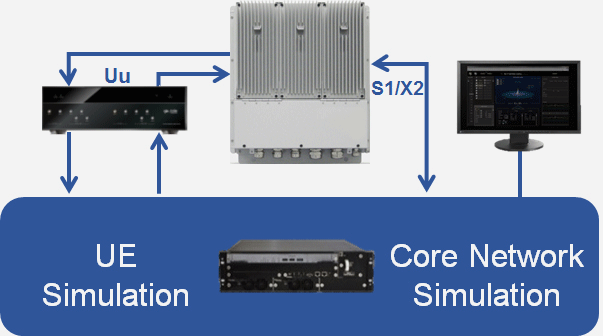 Use DuoSIM’s wrap-around testing configurationto simulate UE and S1/X2 communications in a single, compact chassis. Customize and detect pass/fail KPIsand reuse them in different test scenarios, or repeated regression testing. 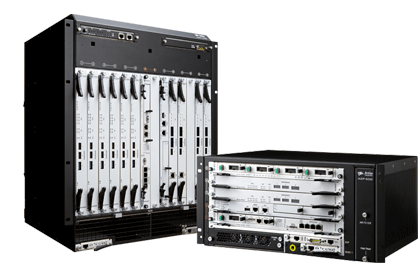 The eNodeB is a critical piece in the infrastructure of LTE networks. Every enhancement, patch, and configuration change requires testing to assure this crucial network node is fully functional before deployment in a live network. Validating functionality is also crucial in the early stages of new product development. The DuoSIM-A FT is the perfect tool for helping development engineers pursue improvement and innovation of eNB and eNB features. Proving the feasibility early-on of new concepts, products, and features positions vendors as market leaders and gives them access to valuable feedback before their competitors. Vendors have used the DuoSIM-A FT to demonstrate their RAN technology innovations, even before prototype chipsets were available. The DuoSIM-A FT uses a wrap-around configuration to simulate both UE and Core Network interfaces simultaneously, which provides maximum stability for identifying problems and validating the performance of new features. The DuoSIM-A produces detailed logs and test results from both UE and Core Network simulation modules. If it detects a problem (for example, a UE reporting lower than expected throughput) after a change in the eNodeB configuration, engineers can quickly diagnose the cause and find a solution. Parameters can also be set independently for every UE, so the DuoSIM-A FT can also help troubleshoot problems discovered after development by reproducing the complex network conditions that caused them.